Welcome to the Club 1958 page! 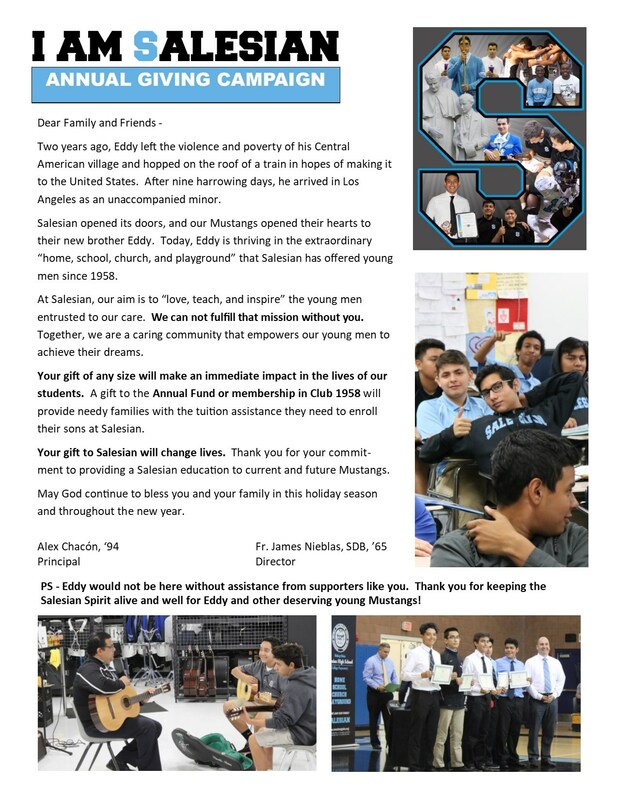 Club 1958 will provide the school with resources to expand the financial aid budget, update educational technology, improve curricular and extra-curricular programs, and grow an endowment to ensure Salesian’s long term success. 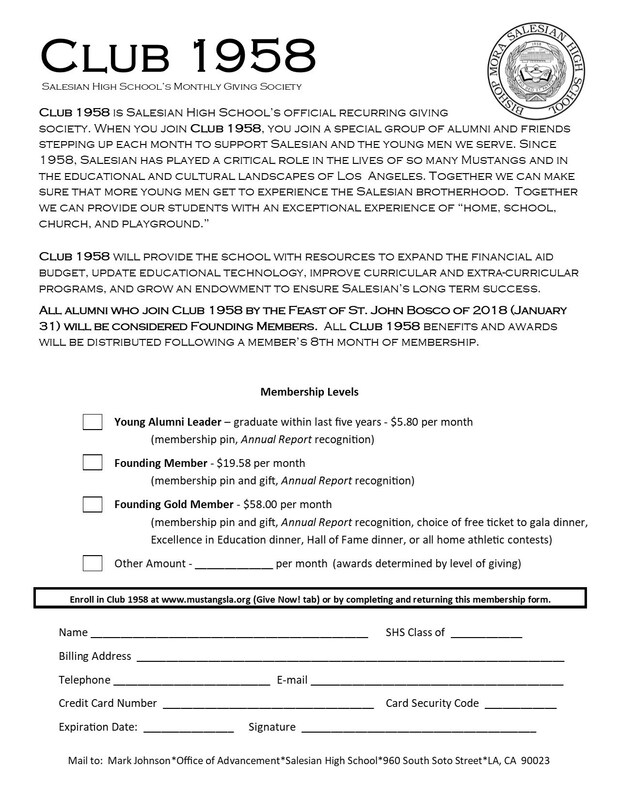 All alumni who join Club 1958 by the Feast of St. John Bosco of 2018 (January 31) will be considered Founding Members.